Guilds of Ravnica spoilers are underway, and the set is meeting my high expectations. It’s even exceeding them thanks to a certain Golgari instant. Join me today as we discuss that card and explore some of the possibilities Guilds promises for spell-based fair decks the format over. Plenty has been written about Assasin’s Trophy already: it will break Jund; it will fix Sultai; it will hose Tron. Most of these opinions explicitly concern BGx decks, which will indeed improve with Trophy in the mix. Their Tron matchup won’t suddenly become favorable, though, nor will Sultai’s clunkiness issues vanish into thin air. Rather, I expect the raw-power Jund shell and the more streamlined, has-it-all-anyway BG Rock deck to benefit the most from Trophy, at least at first. But the real winner here isn’t a deck—it’s a format. Modern has long ached for the economic catch-all Trophy represents. Just as Fatal Push is far from ubiquitous in Modern, but still had a radical effect on the format’s landscape, Assasin’s Trophy stands to flip the format on its head once again despite being relatively picky about which strategies it can accommodate it. Here are some of the big changes I’m anticipating. 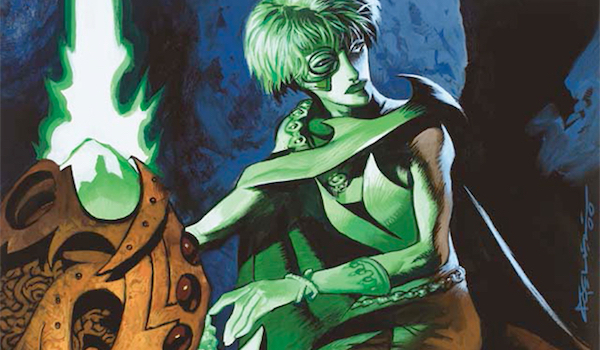 Many Modern decks take advantage of the format’s speed by including hard-to-interact-with permanents in the sideboard. Streamlined decks simply aren’t equipped to answer this wealth of possible hosers. These spells attack opponents from a completely novel angle and punish them for rightly skimping on removal for strange card types after siding. Examples include Ensnaring Bridge in Burn, Worship in Spirits, Batterskull in midrange shells, and most recently, Lyra Dawnbringer in control. Trophy has utility even in aggressive matchups; against Burn, for instance, it’s fine just taking out a white source or a creature. With passable targets in any point during a match and across the metagame, Trophy may force these win button cards out of the format after a few months. Enough decks have access to BG, and therefore are guaranteed to run Trophy, that relying on hoser permanents for a respectable chunk of matchups becomes unreliable. Wild Nacatl epitomizes my favorite thing about Magic: nothing but stats for a tiny investment. It’s combat incarnate. And combat incarnate improves with Assasin’s Trophy running around. Trophy won’t immediately replace Faithless Looting, Thoughtseize, or Serum Visions in anyone’s decklist. It’ll come in for removal. Lightning Bolt, Fatal Push, and Path to Exile will all be trimmed from different decks in some number to make room for the heavier-duty, no-questions-asked kill spell, which is great news for anyone looking to attack with cheap threats. After all, Trophy’s real draw isn’t in its mana cost, but in its versatility; Modern’s existing removal spells will out-rate the card any day of the week. And ramping the tempo-conscious aggro deck in the early turns is a great way to eat a plate full of haymaker. Trophy is also softer to countermagic, especially the sort liable to see play in aggressive decks. It’s much easier to Mana Leak or Spell Pierce this card than it is Fatal Push, and that’s without even mentioning Spell Snare! Flexible answer spells do little if not increase the diversity of Modern. Whenever we get one, more decks seem to become playable overnight. With Trophy legal, players in Golgari colors have access to a mainboard card that plays roles formerly assigned to niche sideboard tools, freeing up more space for their unique engines and counter-play possibilities. Hollow One, Mardu Pyromancer, and Grixis Shadow did not exist before Fatal Push; I imagine Assasin’s Trophy will pull a Fatal Push on this front and usher in a new era of creative deckbuilding. Assassin’s Trophy is a boon to any interactive fair deck, no matter how high or low its curve. But it does seem to fit better into midrange decks, which can afford its steep casting cost. Nonetheless, I was eager to try the card in a Delver shell. I liked the idea of holding up Mana Leak or Snapcaster Mage and firing off Trophy instead if the situation called for it, and Delver decks in general have long struggled with obnoxious permanents. While Counter-Cat employs Path to Exile to remove most of them, planeswalkers and enchantments can still shut the archetype down, making Trophy an attractive role-player in this kind of deck. I landed on German Threshold, a BURG Delver deck named for its Legacy-loving originators and one I’ve tinkered with in Modern before. Delver and Goyf can’t man the ships themselves. In this build, I settled on delve threats despite their reliance on the graveyard, something they share with Tarmogoyf, for a couple of reasons. First, there weren’t that many better options. Stretching into white for Nacatl was far more than I wanted to subject the manabase to, and it’s slim pickings for additional Goyfs in Modern. Second, we can mostly sidestep graveyard hate with our sideboard, and we’ll almost only ever see it in games 2 and 3. Worst comes to worst, Trophy destroys Rest in Peace. Such beefy threats let us run Stubborn Denial and Thought Scour, cards that work well with Snapcaster Mage and reward us for holding up Trophy. German Threshold’s ensuing reactive bent therefore becomes quite reliable, but since part of that package is Thought Scour, it’s also plenty good at sticking threats early. This build dips into red for sideboard cards, sure, but Lightning Bolt is at its center. If small creatures get better with Trophy around, I want to be ready. Joining Bolt is Fatal Push, ensuring opponents vying for dominance with creature synergy won’t get much going. Faithless Looting rounds out the color, offering even more ways to fuel delve and a method to pitch clunky two-drops, permission, or kill spells when necessary. The manabase is similar to Counter-Cat’s: we want to set up a perfect pair of shocks (Crypt-Pool or Grave-Ground, both of which cast Trophy) and supplement them with a third shock (usually Steam Vents) or basic (usually Island). Our fetchlands maximize the odds of that happening. We play three basics for insurance against Field of Ruin, Ghost Quarter, Path to Exile, the odd Blood Moon, and of course, Assassin’s Trophy. There are also three red sources to protect our sideboard plans from land disruption. The sideboard is built to do three things: address problematic matchups, take advantage of ramp from opposing Path to Exiles and Assassin’s Trophies, and sidestep graveyard hate with alternate win conditions. Flashiest among these win conditions is Isochron Scepter, a card I ran zealously in Counter-Cat sideboards when we still played Lightning Helix. Imprinting the best card in a given matchup on Scepter can give opponents a very hard time, and the artifact ideally comes down on four lands—just enough to resolve and activate once before opponents destroy it. Or don’t, and leave us to stockpile cards in hand as we throw Bolts. Assassin’s Trophy can be imprinted on Isochron Scepter. This fact dawned on me about 15 minutes after I saw the spoiler, and was my primary motivator to build German Thresh. Between Trophy and Bolt, we have eight guaranteed high-impact imprints. Preliminary testing has shown that it’s difficult to lose against pretty much anything with an active Trophy-Scepter. In lieu of actual threats to remove, Scepter offers a repeatable Ghost Quarter effect, which pressures opponents to act even if they don’t want to run their threats headfirst into the slaughter. Surgical Extraction, too, fits onto Scepter, but gains even more value with Trophy in the picture. We can now Trophy a Tron land, cantrip into Surgical, and immediately disrupt the combo for good. The same goes for Valakut, the Molten Pinnacle and Primeval Titan. The other spoiled card to pique my interest was Arclight Phoenix. Here was a Delver I could have for just playing Magic, or at least my kind of Magic: the interactive kind! Much as I love free 4/4s, something that’s always peeved me about Hollow One is how much time it spends setting up. Phoenix promised a Hollow One or Vengevine with less heavy lifting involved. I started with a UR shell before moving into black and soon dropping blue altogether. The impetus for this switch was Collective Brutality, a card I fast realized I’d need 4 of. Brutality does it all in this deck: it spends the mana made by Manamorphose; it discards stranded Phoenixes to the graveyard; it controls the game state in diverse ways at an unbeatable mana rate. On top of it all, Brutality counts as an instant/sorcery for Phoenix. Much to my chagrin, continued testing led me from BR into Mardu, and eventually to Mardu Pyromancer. Here, Phoenix takes the slots intermittently occupied by Liliana of the Veil, Goblin Rabblemaster, and Blood Moon, giving the deck a more dedicated proactive slant. The strongest builds I could come up with didn’t block enough for my tastes without Hollow One or Death’s Shadow in the picture, and accommodating those creatures ended up over-diluting the deck’s elements. I did try one, the other, and both; my results proved unpromisingly familiar. Mardu Pyromancer is the best shell I have found yet, in no small part thanks to Lingering Souls. One-drop into Manamorphose into Lingering Souls flashback is great at reviving Phoenix early, but the card’s real charm is how forgiving it can make our games. When the right pieces don’t come together on time, Souls buys multiple turns blocking or forcing opponents to deal with the bodies. Rift Bolt is here to help with Phoenix. Suspending it “tucks” the spell for later, guaranteeing us an instant/sorcery count before we even draw for turn. That way, we only need to cast two spells to trigger the bird. It also combines with Lightning Bolt and Collective Brutality to provide a steep wall for small creature decks to climb. All that toughness-based removal makes things hellish for anyone spreading synergy across bodies. up, as with Goblin Lore or Grisly Salvage, or unreliable -1s, as with Burning Inquiry. The available cantrips and interaction just happen to enable Phoenix incidentally. The thing my Phoenix brews really needs is the Legacy cardpool. The Stitcher’s Supplier/Cabal Therapy package from Mardu Pyromancer in that format would be incredible here, especially with Punishing Fire/Grove of the Burnwillows to improve Phoenix further. Here’s hoping we get a cheap, red jump-start card in the coming weeks of spoilers to do a Therapy impression, or just some decent surveil cards (and no, not the one that doesn’t give us a 2/1). …and I wouldn’t have it any other way. Join me next week for a more detailed exposé of the Guilds spoilers. Until then, happy tinkering! That’s true, one of the decks has Goyf in it! You got me…just teasin’ you. 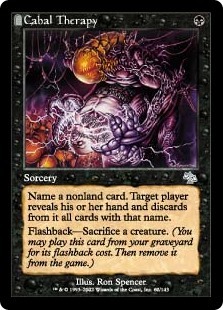 At least it’s a bit less ubiquitous in the format now, which I always like when a pet card happens to be very good. By the way, your handle on writing mechanics and economy of words, in your articles, is consistently strong—do you spend much time editing or do you usually nail those things first try? Don’t know about much time, but I do proof my articles! I know free is always tempting but phoenix is awful. You dont like the setup cost of hollow one? Then how can you like the strictly way harder to meet setup cost of phoenix? First you have to drop it in the gy somehow, then cast Three! Noncreature spells in the same turn. Sure, youll always have a one mana, two mana, and manamorphose lying around. And when you blow this wad what do you get for your trouble? A frigging 32 flying haste??? Bro do u even bolt? I would die of laughter watching someone go through all this just to get the bird surigcaled or bolted or pathed or pushed at the end of it all. Im sure these were spoiled later than you wrote this but the uu surveil snapcaster and new rec sage are far more interesting in this format. Phoenix is about as likely to work in modern as the vraska pw is. Yes, they were spoiled too late, but neither inspired me to build a deck around them regardless. What I didn’t like about Hollow is that the setup didn’t impact the board, while Phoenix’s can. Either way, my testing did come up short for Phoenix, as the article details! Good on you and others for realizing that without sinking a few hours into discovering why. I personally don’t mind doing the work on the chance I stumble upon something that works. There are a lot of cards in this set that just flat out don’t pass the sniff test for modern. You hopefully don’t need a few hours with blood operative to know that a 3/1 lifeline for 3 with a slow as molasses recursion engine on it isn’t good enough for modern. Flamewake Phoenix is a fine comparable. Dies to same stuff as the new one, one less mana for one less power (generally one mana for one power would be considered a pretty bad exchange) a way, way easier condition to satisfy in ferocious and a red mana. We see four power creatures frequently in modern. 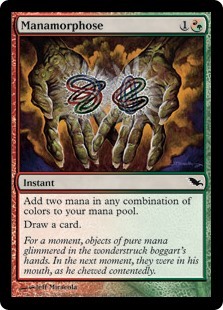 We only see three instants or sorceries in one turn from combo decks during their combo turn. I suppose anything can inspire you to try, but enigma drake is probably a better payoff for spells.dec than this. Notwithstanding that just looking at flamewake Phoenix – a niche one deck playable as is – could probably show you this new card isn’t going to make the cut. Barrier too high, payoff too low. Unlike Flamewake, Arclight seemed like it could fit into the kinds of decks I actually like to play. I don’t mind building something less powerful than an existing strategy if I enjoy the mechanics—just look at all the time I’ve given Delver decks! I like messing around with new cards, so that was good enough for me. Keep on brewing ! That is how you get to sweet and competitive decks like Colorless Eldrazi ! And keep giving us the thought process behind your brews, it is extremely valuable to any brewer. Thanks man. Don’t worry, I plan to!